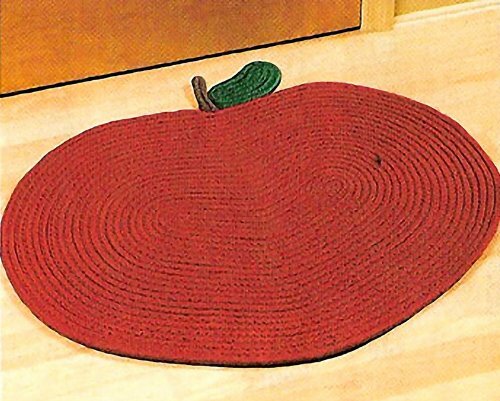 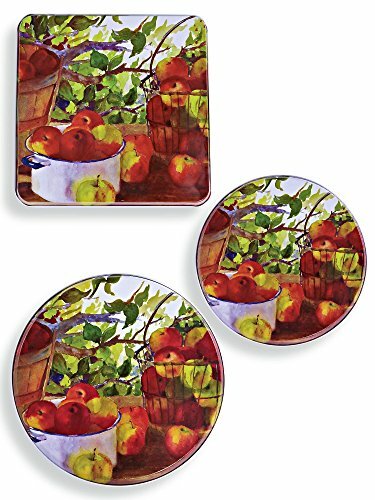 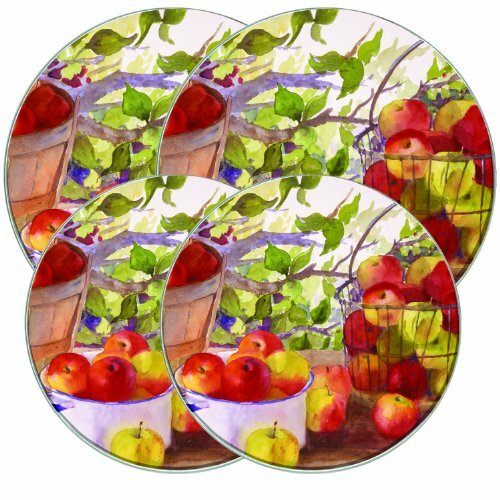 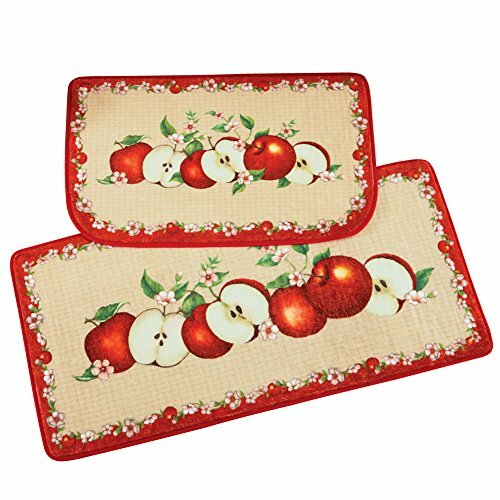 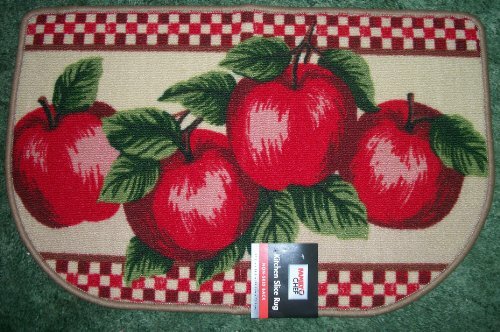 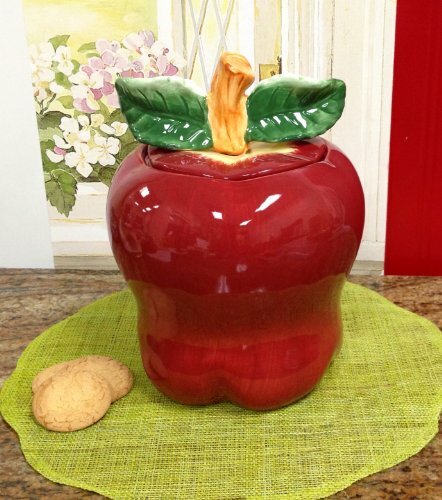 Look out for your favorite kitchen appliances and accessories with apple inspired designs, for example stove burner covers, kitchen rugs and cookie jars. 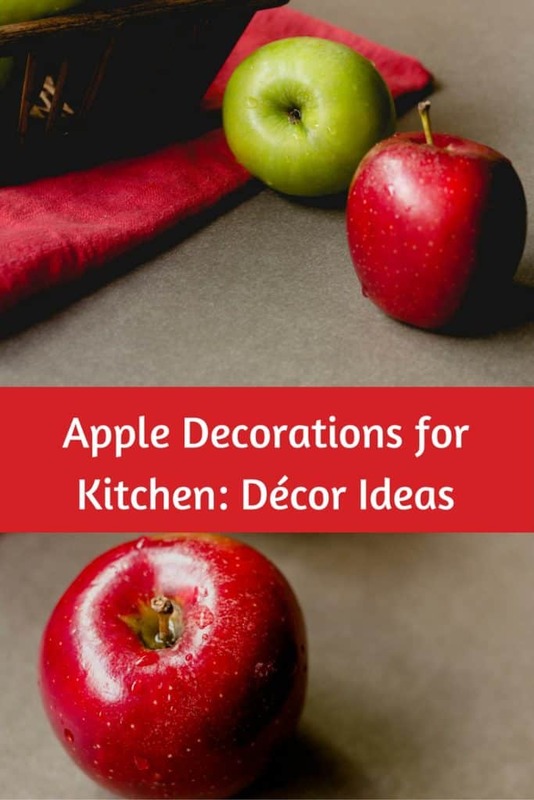 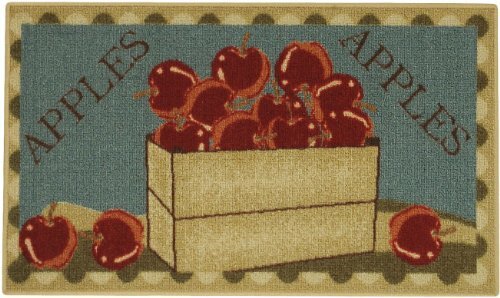 Also, consider using the colors of apples in your designs, a crisp apple green decorating color palette works well in any kitchen, teamed pops of a red. 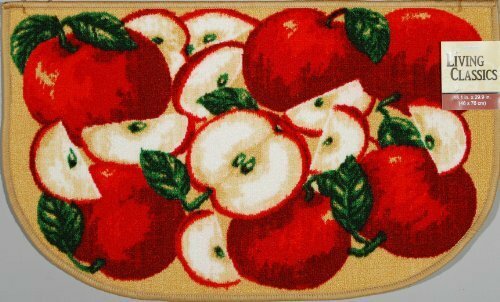 Alternatively, you could consider using shades of apple red to decorate your kitchen with pops of green colored highlights. 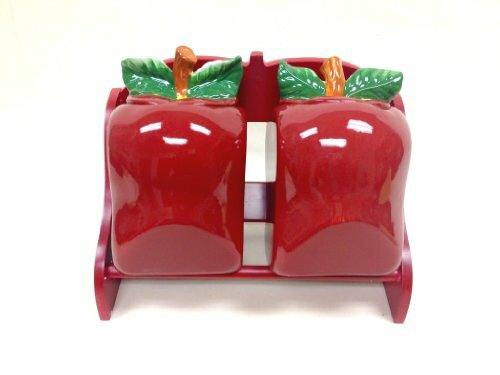 When it comes to your kitchen appliances these can be found in apple colors for example kitchenaid do their iconic stand mixer in candy apple red and green apple colors. 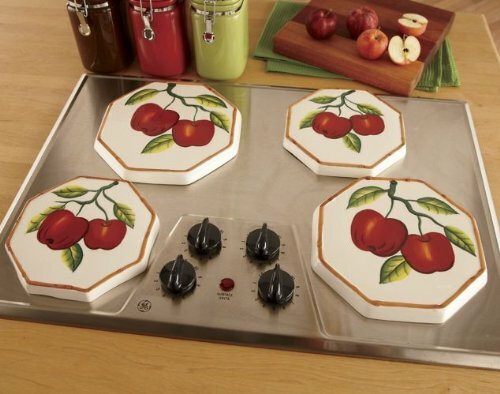 Keep your stove neat and tidy when not in use by covering the stove burners with these cheerful stove burner covers. 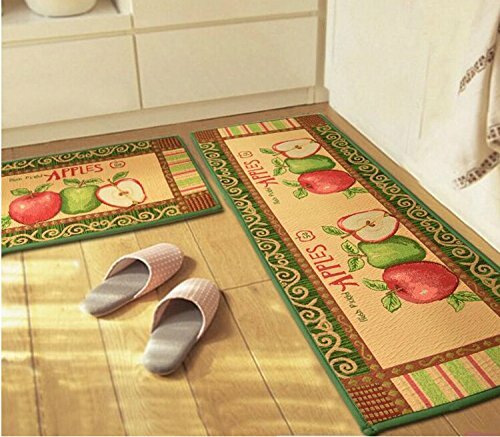 These are so pleasing to the eye that they will be sure to become a talking point with anyone visiting your home. 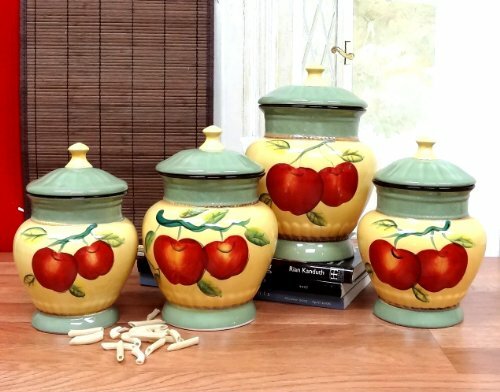 Most kitchens have cookie jars, the jars I have picked out below would look great in an apple themed kitchen. 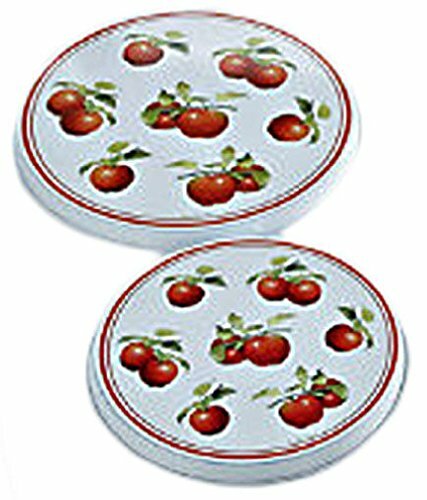 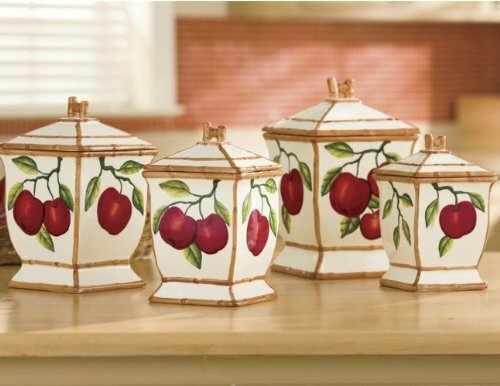 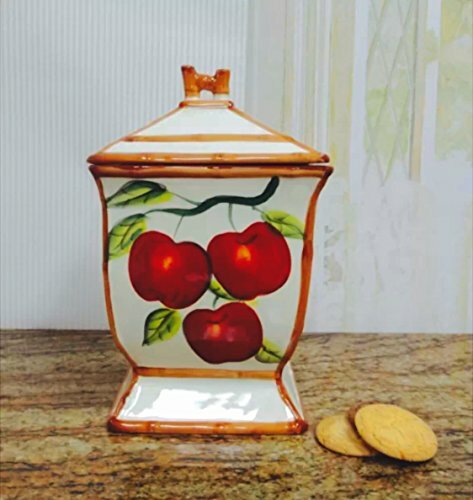 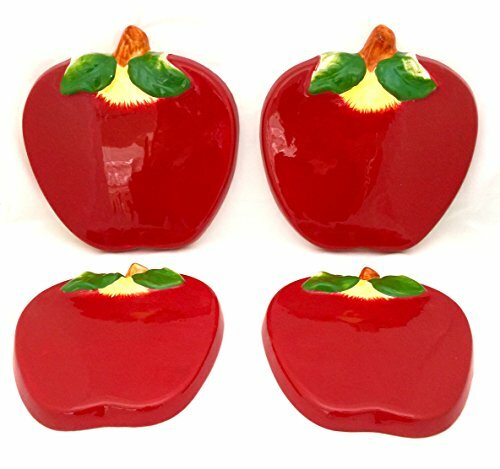 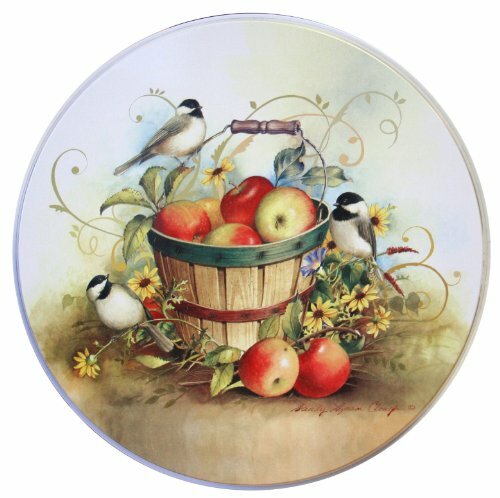 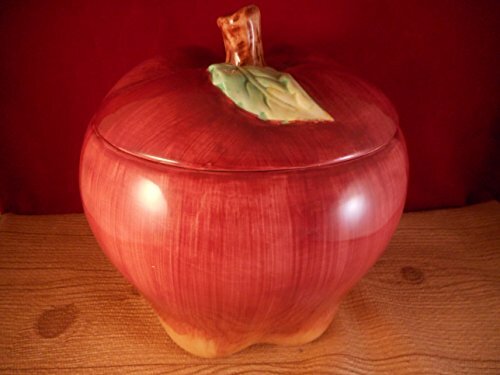 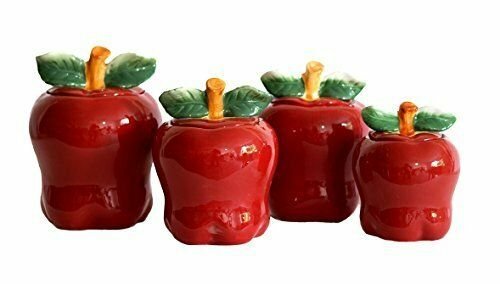 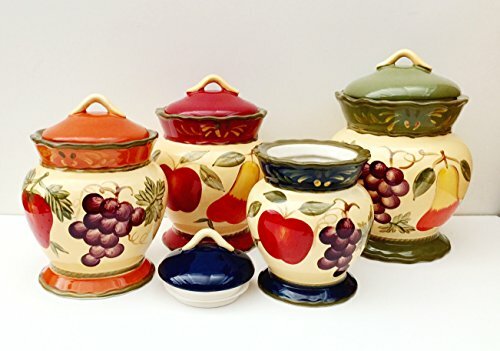 My favorite is the Franciscan Red Apple pattern cookie jar, this is made from ceramic and is hand painted. 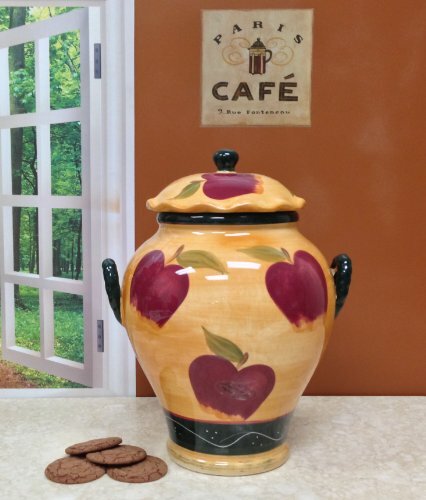 This cookie jar also matches other items in the Franciscan Apple range. 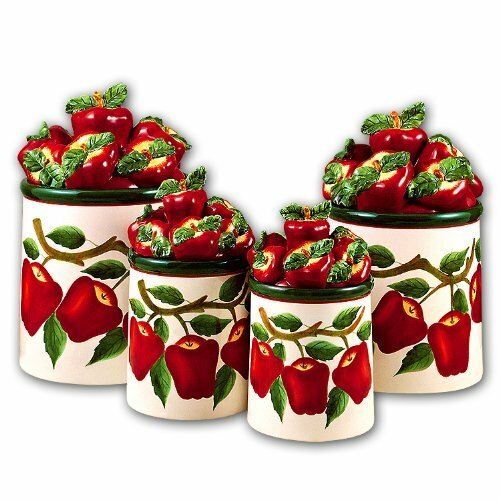 These items fit in well with your red kitchen ideas. 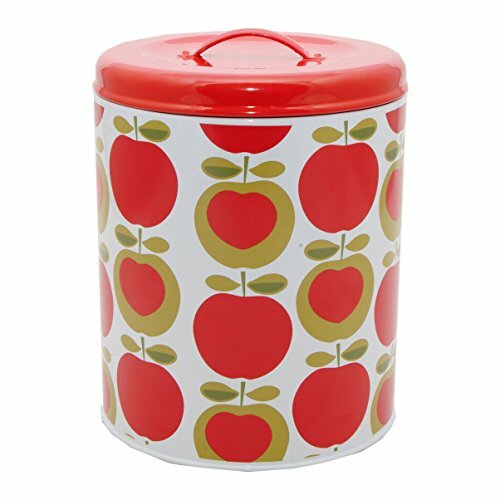 If you are decorating following an apple theme then consider the following red and green apple canister sets. 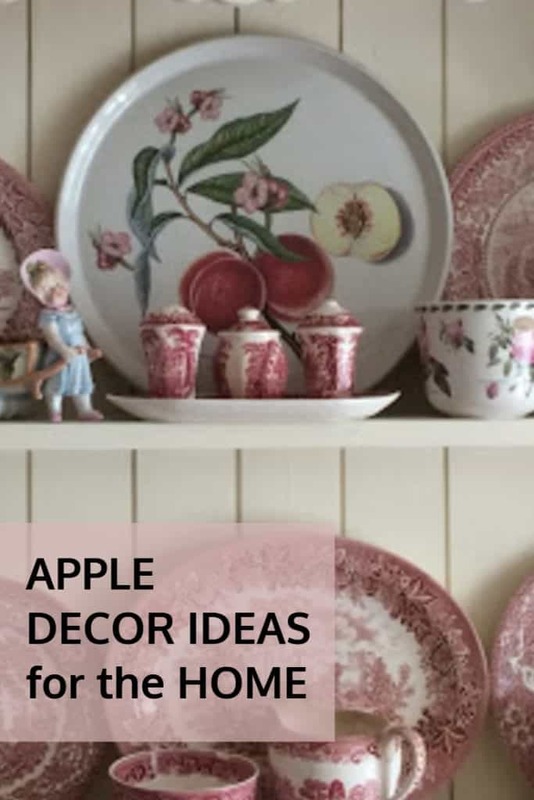 These will really cheer up your kitchen work surfaces when filled with coffee, tea and sugar. 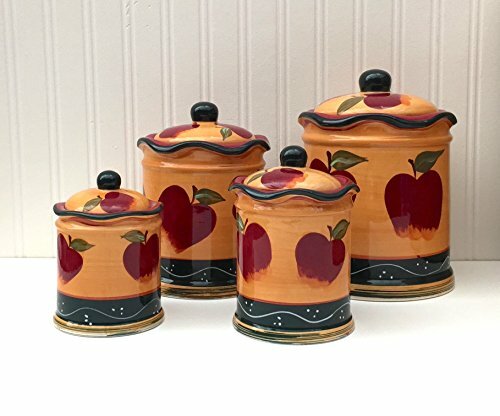 I love the apple green canister sets, it is interesting that there are less sets available in the green colors compared to the apple red designs.